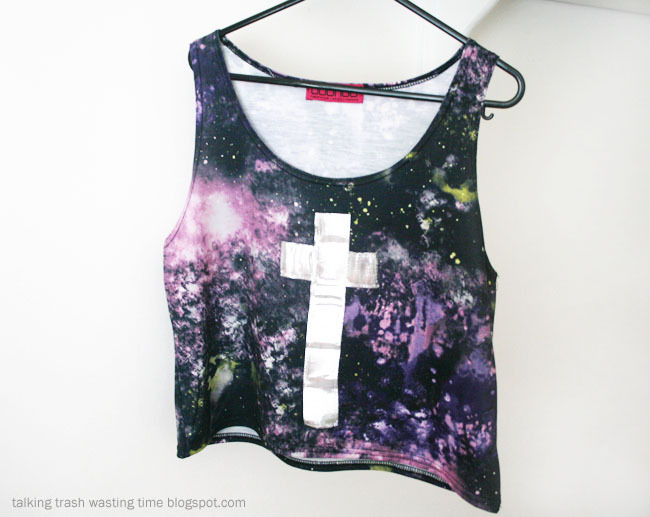 DIY use ribbon to decorate your tops! 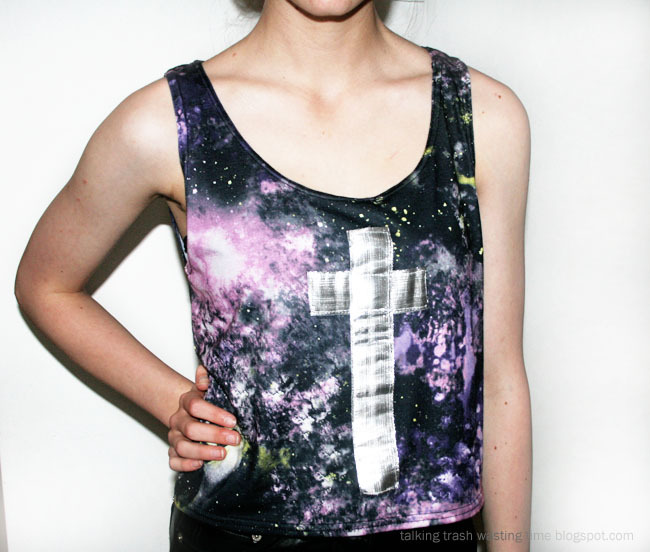 Here is a quick fashion DIY project you can do on any t-shirt, singlet top or back of a jacket. 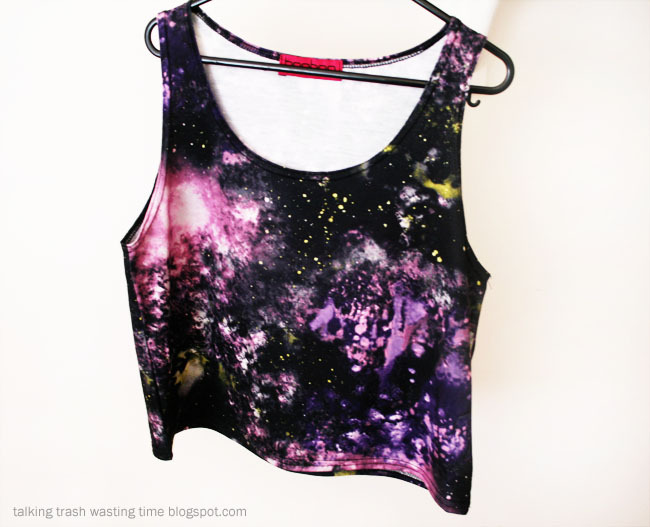 First find a tank or tee you want to give some style to, maybe you have not wore it in a while and want to make it fresh and wearable again. Buy some ribbon - I brought some silver metallic 1.5 inch ribbon from my local fabric store. Lay your t-shirt down flat and figure out what design you would like to do, mark with pencil on ribbon and cut. You can do any shape or design you like but the trick is to keep it simple. Once ribbon is cut, seal ends with clear nail polish. You could also use a fabric glue, I just couldn't find mine today when doing this. Do the glue/polish on back or ribbon and do a test on a off-cut piece, you dont want it showing. Once it is dry pin ribbon design to shirt. Now all you do is sew. I used a machine on a straight stitch but you could also do a invisible hand sticth if you do not have a machine. And thats it, easy as that! My favorite diy projects? The ones that are fast and easy! This is so perfect. I'm happy I stumbled upon your blog!